Your customers are watching more video than ever before, with online video users expected to double to 1.5 billion by 2016. Add this to the fact that video is more affordable and accessible than ever, and it's clear that there has never been a better time to leverage this medium in your business. But how can you use video strategically, in a way that builds your brand, sells your products and services, and converts viewers into fans? 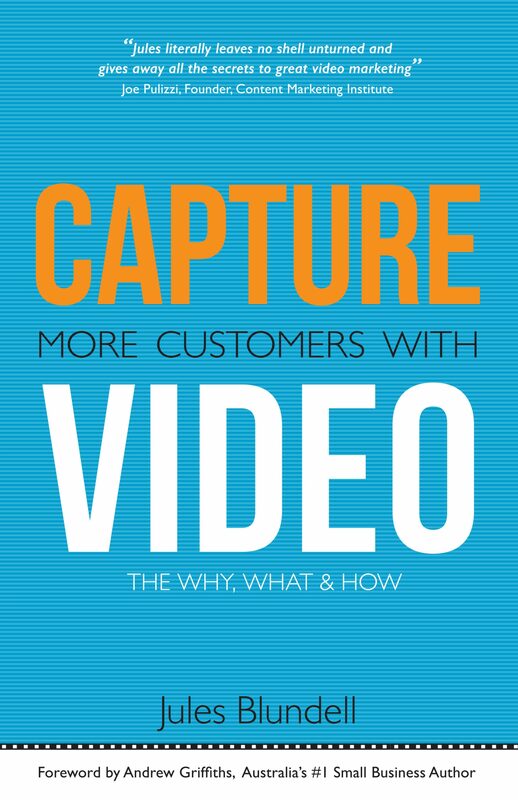 Capture more customers with video is a practical handbook that will teach you how to plan, produce and promote videos that will not only capture more customers, but grow your business. "If you've picked this book up because you have a strong desire to attract more customers, and to create more loyal customers, you've made a smart move. Start at the beginning, work through every chapter, take notes, think about your own messages and develop your strategy. Then start taking videos. Congratulations on a fantastic book Jules Blundell." Andrew Griffiths, Australia's #1 Small Business Author "Simply put, if you are trying to figure out how to leverage video to help your business acquire and retain more customers, this book is for you. From strategy to planning to execution, Jules literally leaves no shell unturned and gives away all the secrets to great video marketing." Joe Pulizzi, Founder, Content Marketing Institute and Author, Epic Content Marketing "Video is just about the most powerful marketing tool there is. And it's suddenly within the reach of small business operators. That's where Jules Blundell comes in. In this book, she demonstrates how to use video in ways that deliver real measurable returns, without the complex tech talk or jargon. The technologies might change, but the principles in this book are timeless." James Tuckerman, Founder, Anthill Magazine, Not-so-Freaky University and Australia's leading digital publisher "Video is the newest and boldest language of the Web and every business needs to master it quickly.